Updates to Rolane's profile since your last visit are highlighted in yellow. Rolane Jones Hardy has a birthday today. Rolane Jones Hardy has a birthday today. New comment added. Rolane Jones Hardy updated profile. View. 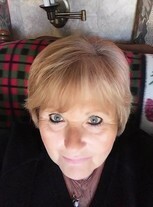 Cynthia Devens Orendorff posted a message on Rolane Jones' Profile. Great seeing you at the reunion. And you look fabulous!